All-in-one Tool: One tool for feed, and marketplace management, order synchronization, analytics integration, and Text Ads generation. Easy-to-Use Design: The fast, user-friendly interface is designed to be as simple as possible. Automatically connect to Google Shopping, Amazon & 1000+ other channels worldwide. Proactive, multilingual technical support: A (free!) multilingual support team at your disposal via phone and email. As well as a help center with walkthroughs and tips. 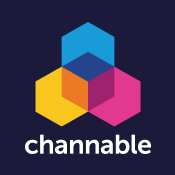 "Increase your traffic and sales with the Channable tool"
Channable simplifies using online marketing channels. Say goodbye to wasting time trying to comply with channels feed requirements, modifying your categories, having multiple plugins and tools for different channels, overspending on ads with low quality scores and many more nuances. With the Channable tool, you can create correctly formatted feeds for comparison sites and affiliates, the perfect product listing ads, and high-quality text ads. Generate more traffic to your online shop, connect to various online marketplaces and receive order information all from one place. Channable’s advanced rules further assist you to precisely control the flow of products to each channel, optimize listings and enrich content. Maximizing the impact of your campaign, whilst minimizing the cost. What you have to gain? Be visible across the globe and sell to markets such as the Netherlands, Germany, France, UK, Norway, Sweden, Denmark, Spain and many more. Integrates with: Google Shopping, Google Ads (AdWords), Bing Ads, Google Analytics, Amazon, eBay, idealo, real.de, FNAC, CDiscount, Beslist, Marktplaats, Spartoo, Bol.com, VidaXL, Cool Shop, Awin, AdRoll, PriceGrabber, Pricerunner, Fashionchick, Tradetracker, Tradedoubler, Rakuten, Webgains, DoubleClick, Spartoo, Criteo, Prisjakt and over a thousand more. Let your products out into the wider web! The Channable team will be in touch to discuss your plans and intentions but if you can’t wait you can always reach out via email or phone. Alternatively, you can find many answers in the Channable help center and in Channable’s webinars.